I saw a commercial for an outdoor movie theater in Port Douglas that had a bar and lots of yummy food trucks. I got really excited, but then I realized Port Douglas is hours away from here. 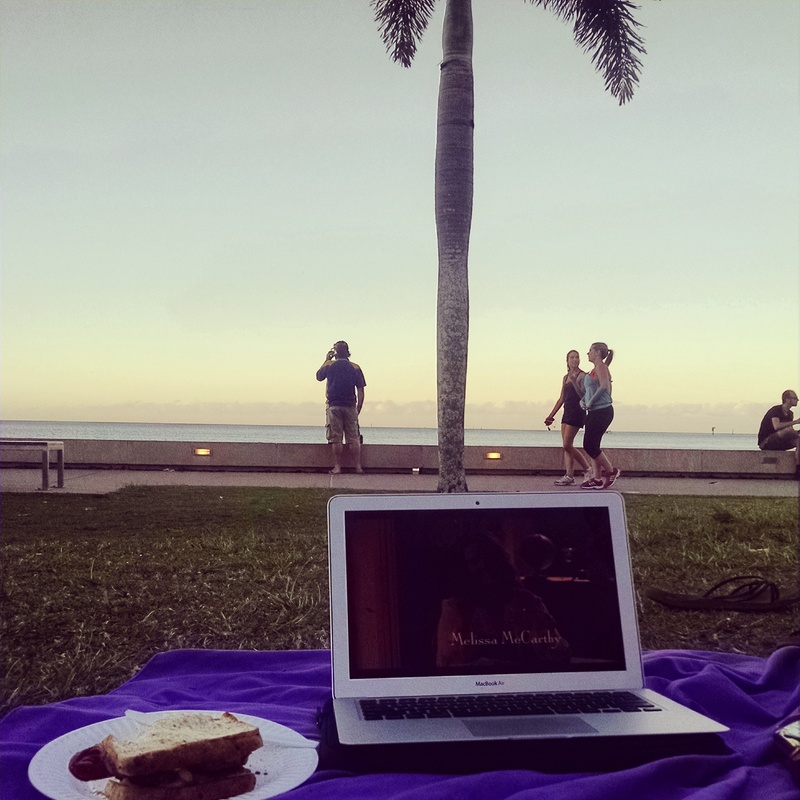 So we improvised with BBQ burgers and Gilmore Girls and sunset at the beach.